Calestous Juma – One Billion Hungry: Can We Feed the World? 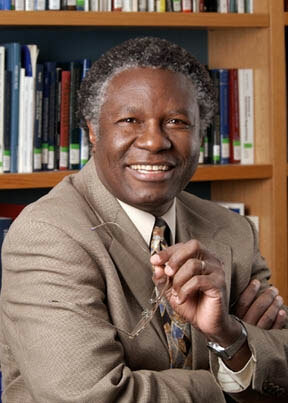 An interview with Calestous Juma, Professor of the Practice of International Development at Harvard Kennedy Business School, aired recently as part of CNN’s African Voices series. In it he discussed the potential of biotechnology to transform African agriculture. Juma, coming from a conservation background, explained how he first became interested in biotechnology while talking with fruit farmers on the slopes of Mount Elgon in Kenya. They told him that they were saving the seeds of fruit crops that no longer grew on the mountain due to drought and they wanted to know if scientists could help these seeds grow with less water, a task that couldn’t be achieved with conventional breeding. In response, Juma authored a pioneering book, Gene Hunters, in 1989 that discussed the potential of biotechnology to resurrect crops and adapt traditional crops to new conditions. African agriculture, Juma explained, has stagnated because of pests, droughts, floods and declining soil nutrients, challenges growing in their significance. In the 1990s the designing and modifying of organisms to overcome these challenges grew as a new industry, one that could be highly transformative to African agriculture.